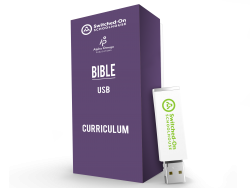 SOS 6th Grade Bible will take your student into the world of the Bible with a rich and fun experience. Also in this grade, learn about the Divided Kingdom of Israel, Jesus' ministry and miracles, and the Twelve Disciples, followers of Jesus. Capture their imagination with illuminating stories like the Ten Commandments, David and Goliath, Daniel and the Lion's Den, the Feeding of the Five Thousand, and the Parable of the Lost Sheep.